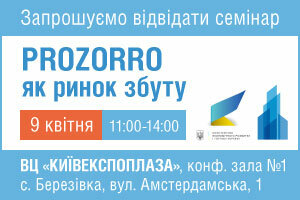 PROZORRO as a sales force. Block 1. Details of the PROZORRO system. Theoretical part. Block 2. PROZORRO as a sales force. Procurement procedures. Block 3. The rights of suppliers. Appeal. Block 4. Questions and Answers. The energy audit formula: a specialist's toolkit. With the of operation (in July, 2018) of the Ukrainian Law "On Energy Efficiency of Buildings" and the introduction from July 1, 2019 of energy efficiency of buildings mandatory certification, the energy audit industry acquires incentives for system development. • air quality control devices. Efficiency formula: industrial solutions for marking and labeling. Overview of complex solutions for quick and easy labeling of terminals, conductors and cables, as well as devices and equipment. Overview of a complete system consisting of professional software for layout and marking, innovative printing systems and marking materials for all industries. Wear-resistant marking, based on the use of UV-led technology, laser marking, plotter engraving, thermal printing, stationary and portable marking systems, individual and large-scale marking, color and monochrome — VD MAIS and PHOENIX CONTACT will help to navigate among the numerous opportunities. The light formula: the Helvar lighting control system. Management of lighting groups, digital interfaces, scenarios, adaptive lighting control systems with self-learning, etc. — the industry is gradually migrating from the primitive network-converter-LEDs schemes to the "smart" lighting systems that function in accordance to the needs of people in quality lighting. However, modern lighting systems do not have to be prohibitively expensive, abstruse and complex. How to make lighting "smarter" and more comfortable for users with the help of standard mass production equipment? An overview of the capabilities of modern LED drivers and auxiliary devices for the construction of led lighting control systems on the example of the products of the Finnish manufacturer awaits you. 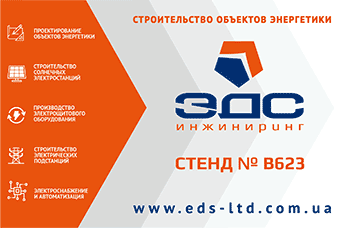 Development and implementation experience of Corporation Electropivdenmontazh equipment. High-frequency equipment for emergency commandstransmission of of RP and EC ORION-APK using the transmission protocol of high noise immunity. The possibility of combining with equipment, which uses protocols with harmonic signals and different coding methods. High-frequency transceivers for protection of OL 110 — 750 kV ORION-UPZ. Specific features of the function transfer usage commands by automatical equipment ORION-UPSA. The usage of ORION-ARS terminals in central alarm systems at the power substation and power plants block panels. Discrete inputs with automatic switching of the input resistance. Digital measuring complex Cyclone-115. New technical capabilities; building semi-automatic verification of high-frequency equipment protective relays and antifailure automatics programs, communications programs and devices of processing and connection of the high-frequency channels. Solutions from SEL for systems of relay protection-and substations control systems. SEL company develops, manufactures and performs engineering works in the field of protection, monitoring, control and automation of energy facilities and industrial enterprises. The company is represented by four new production centers, three of which are located in the United States and one in Mexico. SEL supports customers from more than 60 offices located in the United States and about 50 regional offices around the world. SEL operates its business in 147 countries. 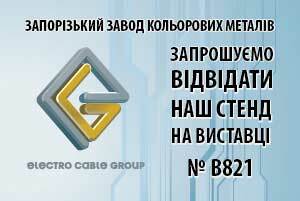 Matrix AMM® — innovative ASCME solutions for Ukraine. The main products of TeleTec, which we will present at the seminar, are the intelligent energy consumption metering system Matrix AMM®, which allows power supply companies to effectively receive and process data from a large number of meters installed in household, industrial and municipal units, as well as multi-tariff electricity meters MTX with load management functions, data exchange on digital interfaces that work as part of automated electricity metering systems Advanced Metering Infrastructure (AMI) and Advanced Metering & Management (AMM). The seminar will present key developments and innovative solutions for data measurment and building an automated system of commercial electricity metering (ASCME), comparative characteristics of the new generation modules, as well as successful projects. The seminar will be interesting for representatives of power supply companies, design organizations, construction, installation, trading companies, developers, integrators, developers, as well as foreign companies. Entrance to the seminar for visitors is free. New development of SHVIW — the wireless registrar Excess-Voltage Suppressors actuation with indexed leakage current "OPN-Visor-II". Presentation of the new development Slovyansk High Voltage Insulators Works — wireless registrator ofexcess-voltage suppressors with indication of leakage current "OPN-Visor-II". As the part of the presentation it will also highlight the security problems in the control of surge suppressor in operation, applications of wireless sensors, the advantages and disadvantages of the sensors and controls the state of the surge, which has already been commissioned and are successfully used in the energy sector. Solar power station of 20 MW for 200 days — a case from EDS. Modern solutions for air-electric distribution networks 0,4 — 35 kV. New standard solutions for the design of 0.4 to 35 kV distribution lines. Features and uses of Hughes Power System reclosers. Online service for SiCAD power line design. Industrial DC power sources: technologies, solutions (ADEL-System). Interesting: half-resonans technology — interesting; different modes of overload and protection in industrial power circuits. The philosophy of battery care — the technology of extending the battery's life. Type of battery selection and multi-stage charging — in chargers. Work at high temperatures. Monitoring and Control. Quality of cable and wire products. At the seminar we will productively discuss what quality is and how to define it correctly. Let's talk about resistance, and how production processes affect the quality of products. Find out which certificate still speaks of real guarantees. Highlight the theme of the European equivalents of the domestic produced cable. Reporting meeting on Hannover Messe. Participants' reporting meeting about the world's largest trade show in the field of industrial high-tech — Hannover Messe. Traditionally, the purpose of the meeting is to synchronize the assessments of our experts and opinion leaders on global trends in Industry 4.0, and the priorities that follow from them to Ukraine. Free of charge if pre-registrated. Congratulations Sarnikon on elcomUkraine 2019!